After shaping the modern New Japan main event scene with his all-time classic series against Hiroshi Tanahashi, IWGP Heavyweight Champion Kazuchika Okada is now firmly entrenched in his next rivalry which will go down among the greatest of all time. June 11th 2017 might go down as one of those wrestling dates that we just don't forget. It’s a huge double issue week of the Observer, which includes a look at how the aging of the pro wrestling television audience is like that in other sports, but aging so much faster than any other, as well as the latest on the WWE summer direction, Extreme Rules coverage, Best of the Super Juniors coverage and major features on Kazushi Sakuraba and Joe Silva and how both have impacted the history of MMA. Look at the Brock Lesnar vs. Samoa Joe match, the Lesnar direction between now and WrestleMania, the problems with the logic and finishes at Extreme Rules plus full coverage of the event including poll results and star ratings. Examine the aging of the sports audience and where pro wrestling and MMA fit in, breaking down WWF vs. WCW in the heyday, where things stood ten years ago and where they stand now. Also, look at how that relates to other sports as well as how wrestling's younger audience breakdown compares with that of other sports and how it has changed. Check out the last shows of this year's Best of the Super Juniors tournament, lessons from the tournament, business of the tournament, the epic last match, preview the Dominion show, Kenny Omega's thoughts on his match with Okada this week, how this compares with other legendary series of matches, the Okada title reign, history of Super Juniors, a chart on how all the wrestlers in the tournament did and star ratings and poll on the last day. This issue has Frank Deford's autobiography and his views on Vince McMahon, more on the U.K. proposed network show, an update on Ric Flair 30 for 30, WWE star films movie over the weekend, notes on a lot of new talent signed to contracts that are starting in Orlando soon, WWE loading up the MSG house show, an update on the women's tournament, Jack Swagger talks leaving WWE, the strongest power lifter ever in WWE, and the most-watched shows on the WWE Network this past week. Tomomi Tsuruta, who started out as an instant sensation and went on to be one of the most enduring stars in pro wrestling history, passed away at 4 p.m. on 5/13, from complications after undergoing a kidney transplant operation in the Philippines. He was 49. Tsuruta was an undisputable Hall of Fame calibre performer. He was a major star in pro wrestling literally from the first week of his career in Japan. WWE posted an article on their website today in an attempt to make sense of John Cena's "free agency." 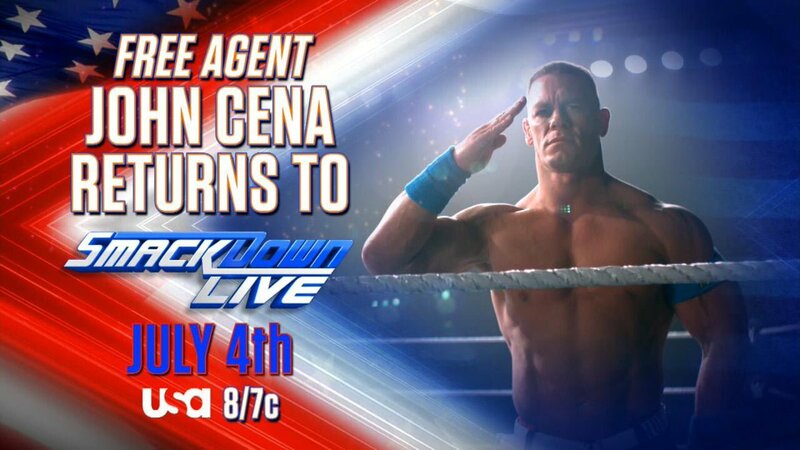 It notes that Cena became a free agent in storyline after April's superstar shakeup. Zack Ryder returned to television on SmackDown last night and for now is being paired with Mojo Rawley again. Pro Wrestling Sheet reported that Ryder has been cleared to return to the ring. He had been out since suffering a knee injury last December. Pro Wrestling Sheet also reported that Rusev has been cleared to return to action. He underwent shoulder surgery in March. WWE is returning to China with the company's first show in Shenzhen on September 17th. A reference to Sami Zayn's previous independent wrestling persona was made during last night's Fashion Files segment on SmackDown. Zayn spoke to Fox Sports about Money in the Bank and his 2016 match with Shinsuke Nakamura. Austin Aries gave his thoughts on Samoa Joe vs. Brock Lesnar in an interview with Sports Illustrated. Stephanie McMahon will be honored at the Sports Humanitarian of the Year Awards on July 11th. Entertainment Weekly has a first look at Luke Harper's character in the movie "Mohawk." Puma is releasing a limited amount of Money in the Bank-inspired sneakers in collaboration with WWE and Foot Locker. Big Show appeared on the episode of Talk is Jericho that was released today. Matt Hardy tweeted a photo of his title collection. Johnny Mundo (John Hennigan) and Taya Valkyrie (Kira Forster) announced their engagement. Naomichi Marufuji will face Donovan Dijak for Michael Elgin's Glory Pro Wrestling on July 9th in Belleville, Illinois. That's interesting timing given that Impact Wrestling's Slammiversary pay-per-view is on July 2nd. Impact has a working relationship with Pro Wrestling NOAH. Impact is running a house show in Long Island on August 4th. The Bullet Club made a "paid advertisement" parodying the old NWO videos to promote the NJPW shows in Long Beach. Cody Rhodes responded to a question about if he misses WWE from a person who said that he was held back there: "No. I miss my homies a bit. If anybody was holding me back, it was me. WWE put me on the map and in the game." OTT announced Pete Dunne, Tyler Bate & Trent Seven vs. Keith Lee, Donovan Dijak & Sami Callihan for their show on July 1st in Dublin. The Hollywood Reporter posted a positive review of Netflix's "GLOW" series. Arn Anderson will be doing a meet and greet prior to AIW's Absolution XII show on July 21st. Vader will be appearing for World League Wrestling on Saturday in Troy, Missouri. The promotion is owned by Harley Race. The Nottingham Post ran a story on a former pro wrestler who now runs a pub. Dana White has spoken to TMZ and appeared on SportsCenter to reveal more details about the Conor McGregor vs. Floyd Mayweather fight. White confirmed that it will be a 12-round boxing match, with the fight being at 154 pounds and them using 10 ounce gloves. It will take place at the T-Mobile Arena and will have a boxing undercard (put together by Mayweather Promotions). 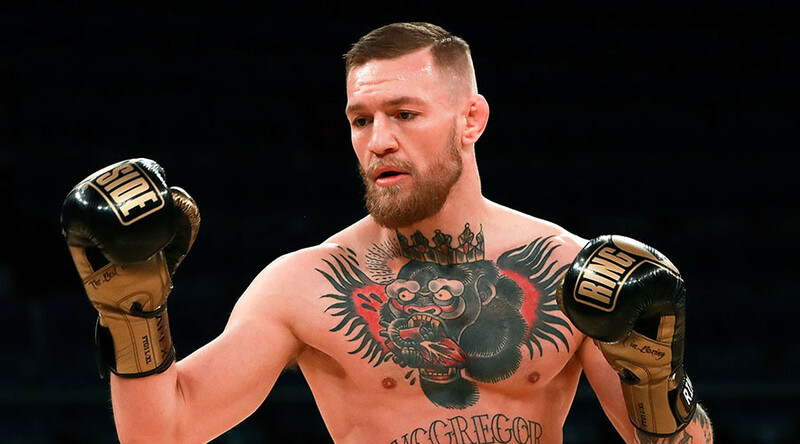 White said that he expects McGregor to make around $100 million and that McGregor genuinely believes that he will knock Mayweather out. McGregor trolled Mayweather when announcing the fight on social media by posting a picture of himself and Floyd Mayweather Sr. Given that Mayweather vs. McGregor will be produced by Showtime, Mauro Ranallo may be calling the fight. Daniel Cormier offered condolences to Jon Jones and his family after the loss of Jones' mother: "In our community the mother is the backbone. @JonnyBones , Arthur , chandler and mr. jones I am sorry for ur loss. RIP Mrs Camille. Prayers"
Joe Rogan congratulated Mike Goldberg on signing with Bellator: "Congratulations to my great friend and longtime partner @goldieontv! I miss working with you, brother! I'm sure you're going to love working at @bellatormma"
A number of MMA media members are forming the MMA Journalists Association.